Battle of the Philippine Sea. 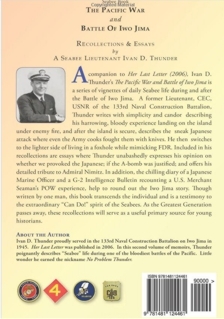 See Marianas, "Marianas Turkey Shoot"
"The Diary of a Japanese Marine Officer"
Ivan D. Thunder proudly served in the 133rd Naval Construction Battalion on Iwo Jima in 1945. 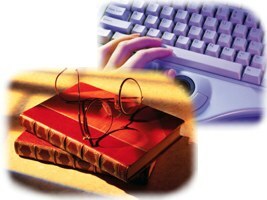 Her Last Letter was published in 2006. 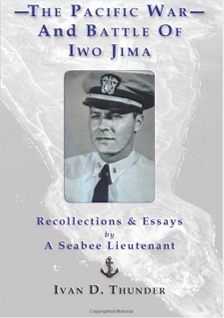 In this second volume of memoirs, Thunder poignantly describes "Seabee" life during one of the bloodiest battles of the Pacific. Little wonder he earned the nickname No Problem Thunder.